Some days ago eagerly awaited mail arrived. 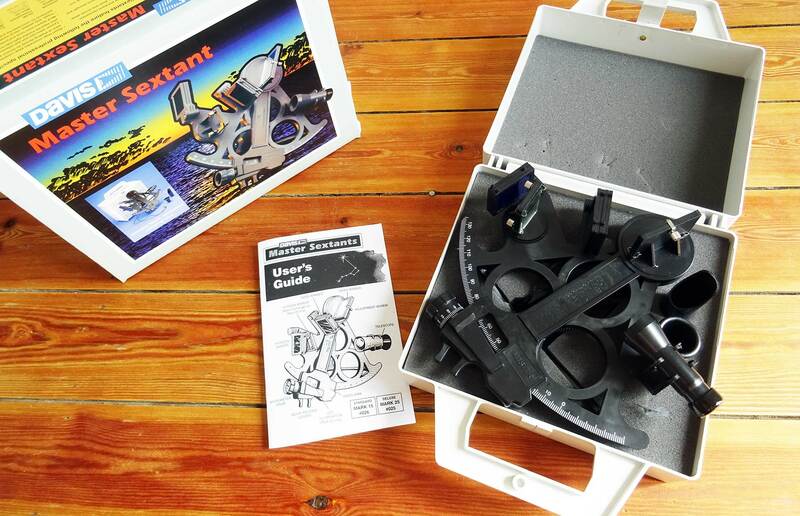 It was a large box and I instantly knew what it was bearing: The Sextant! Yep, I am into celestial navigation now. I do unbox the mail and hold the instrument in my hands. A Sextant – for the first time in my life. Finally, another part falls into place as navigating by means of celestial bodies is one of the big mysteries of seafaring, bears so much history, fascinating stories and of course the chance to learn those truly exciting capabilities. Yes, of course, the Davis Mark 15 is made of plastic and its appearance does not represent the shiny mystic aura that surrounds celestial navigation, but still: It´s a fully functional and fairly accurate instrument. But why celestial navigation? It´s not a part of the standard skipper´s education here in Germany as well as part of the RYA-courses as far as I know unless one reaches the top of the notch skills. In Germany, it´s not part of the common SBF-certification (read about this certificate here), neither for SKS (read it here) nor for the heavy duty SSS-certification which I started as of now. It´s the very last and “highest” of German skipper´s certificates, the SHS (Sporthochseeschiffer-Schein) when celestial navigation is a part of the course. So, why doing this tedious work anyway? 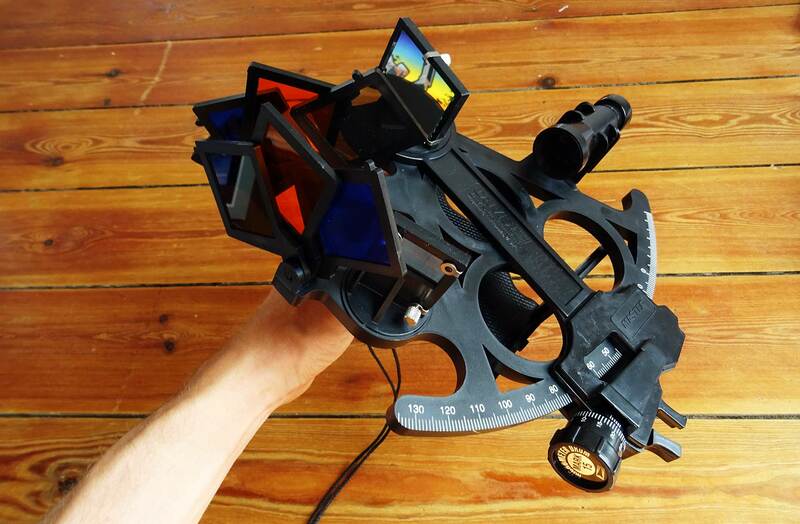 Is Celestial Navigation an Essential Skill? So, if it is obsolete, why then waste time and effort to learn it? Well, anyone who questions the modernity of celestial navigation should be consequently question the modernity of sailing as well: It´s a slow and far too unreliable way of getting around, need too much labour and effort, is dependent on weather and in no way up-to-date. Isn´t it? I am into sailing because it is not modern. I am into it just because it is so closely interconnected with human history, with so many stories, fascinating facts and shows just how strong, dedicated and creative humans have been all through their history – celestial navigation and the whole history behind it is one of these exciting facets and from my point of view in no way dispensable. The clear opposite: It´s a must-do for everyone who truly wants to dive into sailing. That doesn´t mean that one shouldn´t embrace GPS, AIS and other modern commodities, of course. Anyhow, the fascination for this subject had always been strong in myself since I´ve read my first seafarer´s story and became aware of the fact that sailors learned to find their positions by observing the stars. But it´s much, much more than “just” observing the stars. It´s even more than acquiring a Sextant. To get a celestial fix, you need to have some essential stuff and above all there´s a lot of calculations to do before you can even draw one single of the two required lines of bearing. 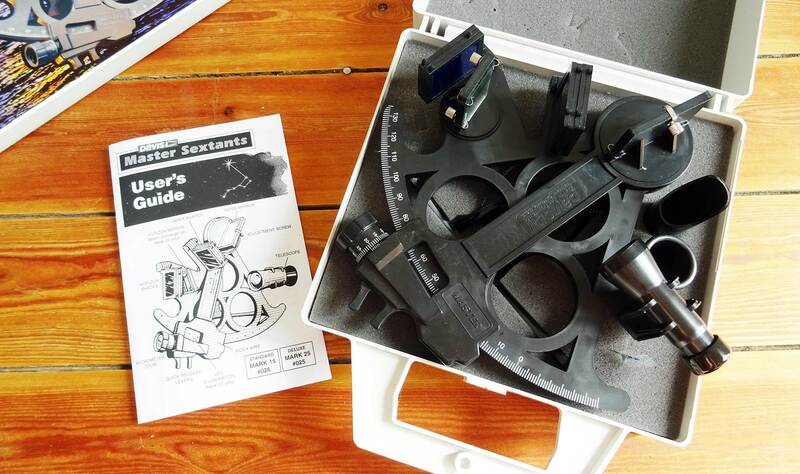 So what is the basic equipment needed for celestial navigation? Of course, at first there´s the Sextant. This is an instrument by which you will be able to measure the angle between a celestial body – which in most cases is the Sun itself, but can also be stars, our Earth´s moon or the solar systems planets – and yourself. You will also need charts, of course, a (programable) calculator in case you are not able to do complex sinus and cosine-computations, a stop watch and a very accurate ship´s clock, the chronometer. And that´s not even all. Besides this hardware, there´s also need for a complex register of tables, called the Nautical Almanac, which a navigator who is solely running on celestial fixes will have to replace each and every year. Above all, you will also need some forms which will guide you through the calculation process. You see, celestial navigation is not just a technique – it´s a ritual. And a fairly expensive one too. What is a Sextant and how does this Instrument work? A good quality Sextant made from precision material in robust metal alloy will come with a price tag starting at some 700 Euros, professional Sextants will easily start at 2.000 Euros. Why? Well, if you consider the fact that one minute of the arc equals one nautical mile on a great circle then even a comparatively “small” measuring error of “just” two degrees will mean 120 nautical miles off position: Unacceptable! Precision instruments have their price. Here we go. But hold your breath, you don´t have to spend that much money in order to learn celestial navigation: There are some practicing Sextants available which are affordable yet precise enough to deliver the point. I my case, it´s a Davis Mark 15 Sextant that will come it at some 150 – 170 Euros. 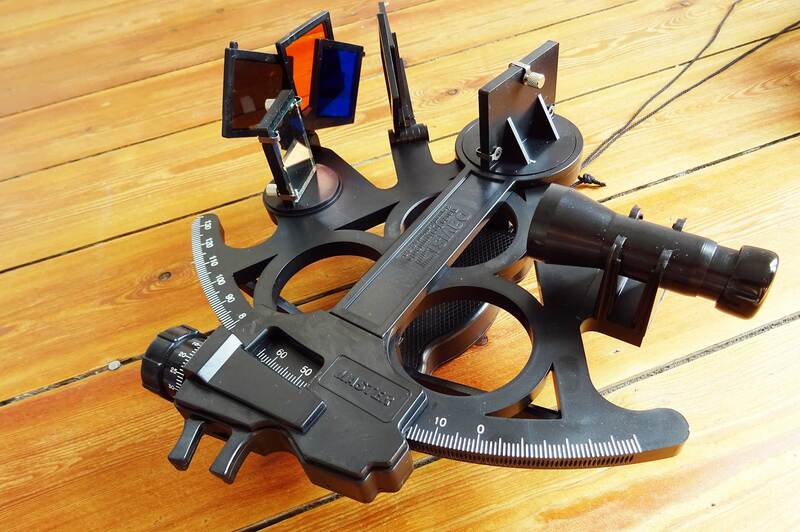 There is even a cheaper model more commonly used by sailing schools and celestial navigation classes, the Mark 3 by Davis which will come it at some 60 – 70 Euros. I went for the Mark 15 because it features all assets a pro-Sextant will have as well and it bears the feel of the big brother instrument. When I unboxed it, I was instantly convinced by it´s quality although it´s almost entirely made of plastic. It appears to be a solid instrument, no wonder that the Mark 15 is recommended as backup Sextant on oceangoing yachts. Every Sextant has the same principal parts: The Sextant itself is one third of the 360 degrees circle. Which enables the navigator to measure angles from 0 to 120 degrees. 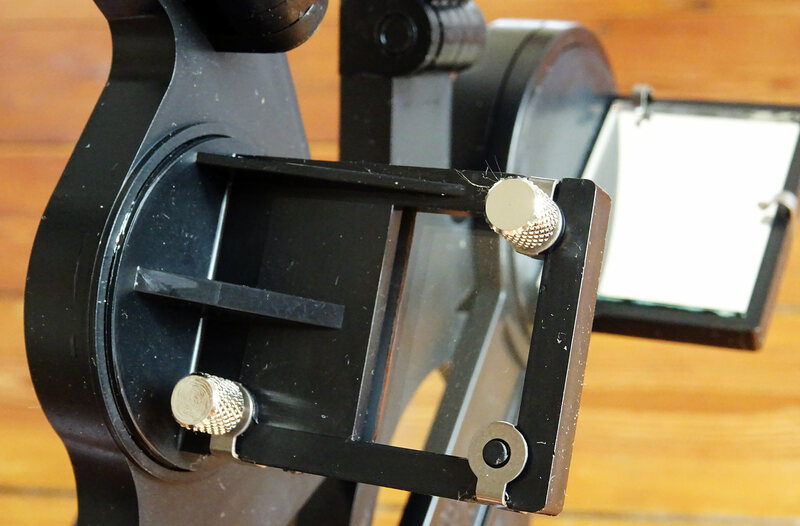 Mounted to the arc is the so called index, which in fact is a lever with one mirror attached. By rotating the lever on the scale, the index mirror will catch the light emitted by the celestial body. 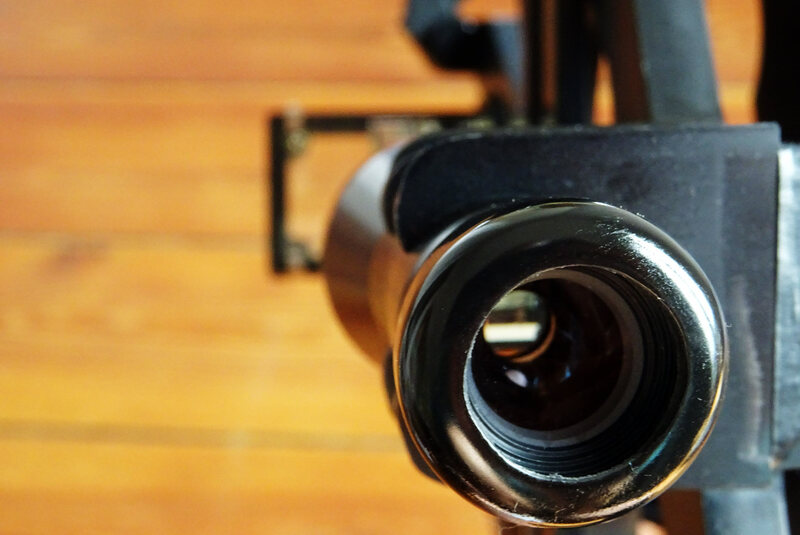 “Bringing down the star to the horizon” means, that by adjusting the index and simultaneously looking through the telescope, the navigator will project the star´s image onto a second mirror – called the horizon mirror. 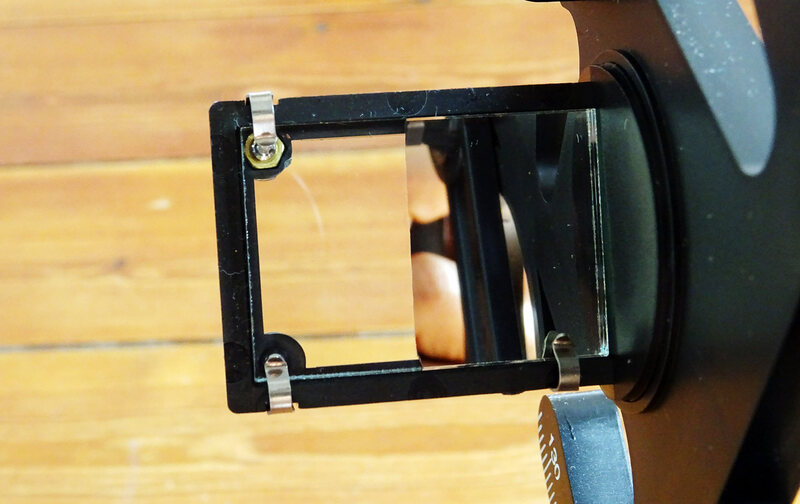 The horizon mirror is a mirror only to one half – the other half is transparent so that the navigator can see the horizon and the star´s image simultaneously. “Bringing the star down” to the horizon is actually the measurement itself. By doing so, the navigator will then read the angle from the scale. That´s pretty much it – and much, much more indeed. The light of the celestial body, let´s say the Sun, is so strong, that a set of no less than seven shades in different colours and opacity is available to be switched before the mirrors to ensure health and safety of the navigator´s eyes. The reading on the scale will deliver full degrees, minutes and arc-minutes. By the time the navigator “shoots” a star, he will push the button to start the stop watch and take the running watch down to the navigation station onto the chart table where he will then stop the watch by awaiting a full minute on the (precise!) running chronometer. He will then subtract the time from the stopped time to get the precise timing of the very moment the “shooting” of the celestial body took place. Quite a tedious effort, isn´t it? And we need at least two shootings as you know for a fix. But that´s Part 2 of this series. For now, there are some jobs with the new Sextant to do like adjusting the mirrors and calculate the built-in error. Getting the Sextant ready for the real stuff first. Then it´s a lot of watching YouTube-videos about how-to make a celestial fix and some intense reading of a handful of books about this kind of navigation. Anyway, just like many other things, celestial navigation is best learned when done for real. In a two week time I will cast off for a 7 day (and night) sailing trip on a Beneteau First 30 and one of the three-person crew is a skilled SHS-skipper. He agreed to give some lectures in celestial navigation and will bring the Nautical Almanac as well as some forms to both teach us and give himself a refreshment in his classic navigation skills. As we will have plenty of time during daytime and night-time watched (and hopefully not an overcast sky) I look very much forward to learn it by doing – and having the instant verification of our celestial fixes by comparing it to the GPS-accurate position. I´m as excited as a child before Christmas. 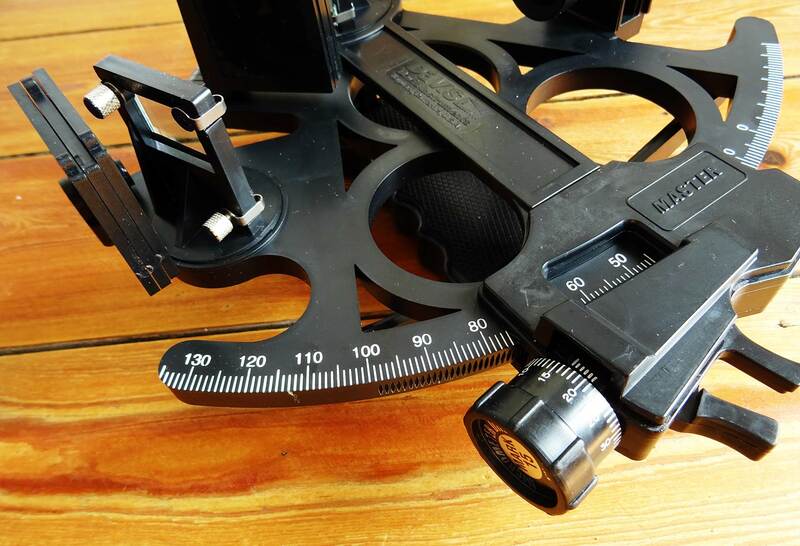 Part 2 of Celestial Navigation Series will introduce the other needed equipment and discuss some of the calculation methods of celestial navigation. Stay tuned. By the way, you may order your Mark 15 at a.w.niemeyer Shop in Germany: Click here.